There are lots of reasons you might have extra supplies and items around the house that animal shelters might need. Right now is as good a time as any to do some cleaning and do a good deed at the same time. It takes a lot to provide for all the animals in a shelter’s care, and as you can imagine, shelters go through supplies very quickly. They could use all the help they can get. Take some time to do inventory around your house and see if you have anything you’re ready to get rid of that a shelter might use. It won’t cost you anything to donate the items that you’re getting rid of anyway, you’ll have a cleaner and more organized living space, and you’ll be helping cats as they wait for their forever homes. You should, however, always call ahead to find out what your local animal shelter needs before you arrive with your items for donation, as shelters vary in what they can and cannot accept. 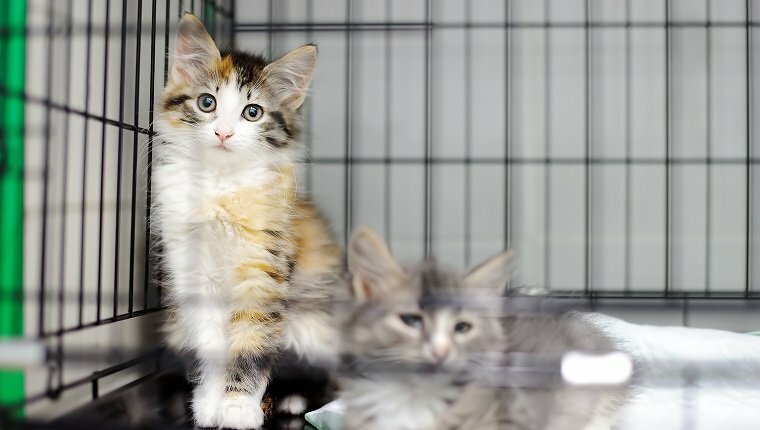 Here are eight items you probably already have around your house that you can donate to an animal shelter in need. If you bought food or treats in bulk that your kitty didn’t like, or if you are switching your cat’s food and have unopened bags left over, you can donate them to an animal shelter. They’re usually willing to make use of anything that hasn’t been opened yet, though please make sure the food items haven’t reached their expiration date. 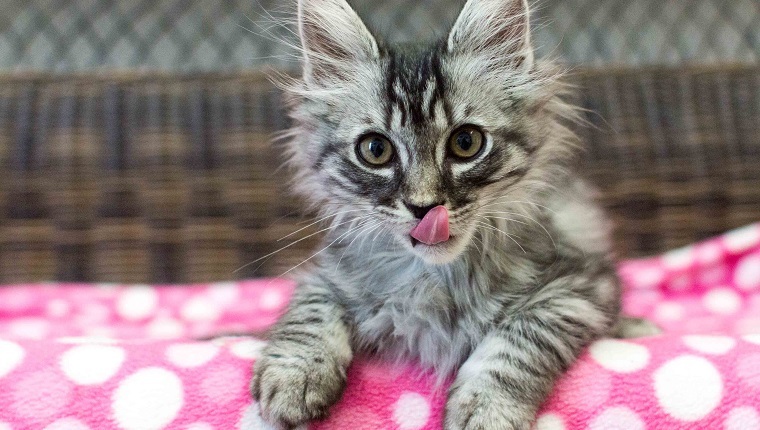 Shelters will sometimes even take baby food with meat for cats who get sick. Some shelters can also use bowls, but call and ask what kinds they will take, as some shelters will only accept metal bowls. They may also need bottles to feed their kittens. 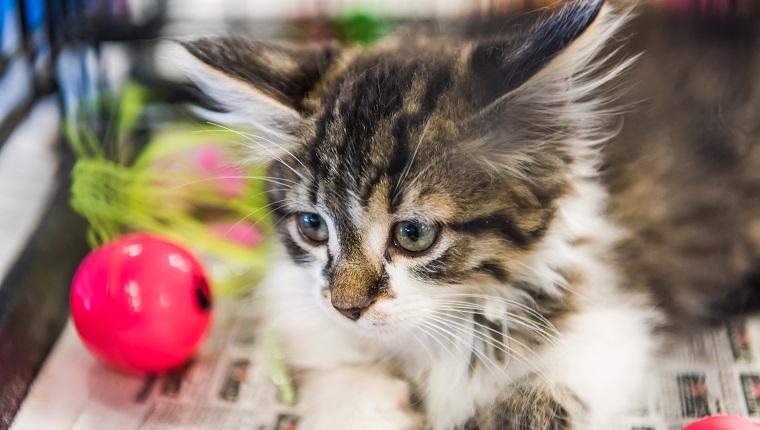 Shelter cats can go through toys pretty fast, but it’s important to provide them with the mental stimulation and comfort that come with having items to play with. Most shelters will take rope toys, wand toys, balls, puzzle feeders, scratching posts, and both catnip and catnip toys. Bedding material is very needed in shelter settings, and shelter cats go through this stuff pretty fast. Accidents, chewing, clawing, and general use make these items hard to keep in stock. Shelters tend to accept sheets, blankets, and towels regardless of whether they are new or used, so long as they are clean and aren’t completely falling apart, though not all do. Ask your local shelter if they accept these items. As you can imagine, there are plenty of potty accidents to clean up around the shelter, as well as everyday messes that happen when you have a lot of animals together in one place. Paper towels, garbage bags, rubber gloves, spray bottles, storage bins, and Ziplock bags are among the items that help animal shelters stay clean and organized. Some shelters will also take rolls of newspaper, so long as any glossy ads are removed for safety. When you think of helping animal shelters, you probably think mostly about helping the cats directly, but there are many administrative functions at animal shelters that are necessary for helping shelter cats find homes. Office supplies are often needed for those tasks. Pens, folders, notebooks, electronics, and batteries are among the items used in the offices of animal shelters. Some shelters also have youth or community outreach programs that do arts and crafts, and they can use supplies like glue, markers, construction paper, and more. Call ahead at your local shelter to see if they need any of these supplies for their outreach programs before you donate. If you have any new or gently used metal crates or carriers, shelters may be able to make good use of them. Some shelters don’t want plastic crates or carriers. Make sure that these items are in good, working condition and don’t have any pieces falling off or sticking out. All that poop’s gotta go somewhere. 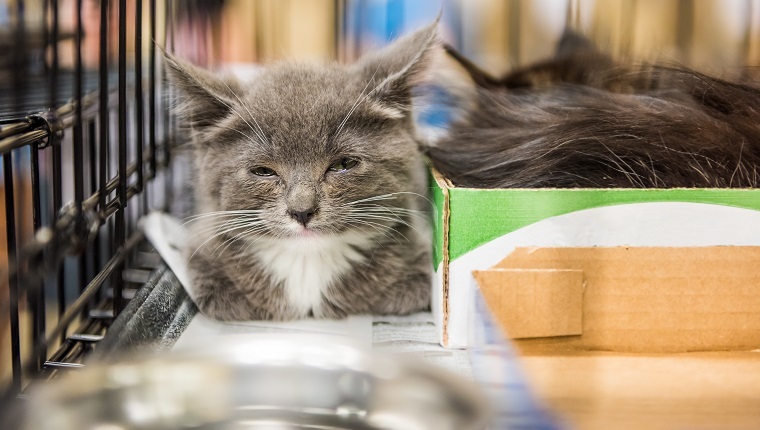 Shelter cats can especially benefit from litter and litter boxes as they learn to go potty where it is appropriate to do so, and that helps them have a better chance of getting adopted. Animal shelters often ask for litter boxes, extra litter, and disposable aluminum trays. Make sure the litter boxes are in good shape, preferably new, and have no broken parts. This is one that you must absolutely ask your shelter about before you donate, but some shelters will take old armchairs, cots, or smaller furniture items that cats and other shelter animals can use as beds. These provide kitties with a little bit more home-like comfort while they’re in the shelter. Some shelters will also take folding chairs for outreach events and youth programs. Again, ask before you donate. What other items can people donate to animal shelters? Have you ever donated items to a shelter in need? Let us know in the comments below!